In the service industry, many businesses now use digital channels, data analysis tools and applications to serve today’s ever-connected customers. Learning to use the latest digital tools to reach the modern customer, that moves around with a mobile device, is now critical for the success of most service businesses. Here is a brief discussion on how professional service firms are using digital technology to meet the needs of their target consumers. In many parts of the service industry, providing estimates was a real chore before the advent of technology. Professional service providers like law firms or payroll companies used to find it difficult to provide accurate estimates of the time and money required to complete complex cases. But this is fast changing with the availability of massive amounts of data and analytics tools that can be used to analyze a large number of similar legal cases. With such accurate analysis, it is now possible to determine the precise length, time, and cost it will take to start and complete a major court case. Various data analytics tools provide accurate quotes for new cases by analyzing the number of lawyers that worked on a similar case, the number of hours spent on it and the amount each lawyer earned. They can also provide an estimate of the time taken for each task and the number of phases involved. All these facts can help a firm know how profitable a case will be and adjust their quote accordingly. With the aid of advanced data analytics, professional service providers can now segment their customer base and easily discern the behavior of various market segments and demographics. A combination of tools including predictive analysis and artificial intelligence has made this possible. This technique is also being used to analyze massive amount of comments and tweets on Facebook and Twitter. In essence, this makes target marketing more effective. For instance, with the aid of salon software solutions, salon business owners and managers can increase client loyalty and retention through target marketing. 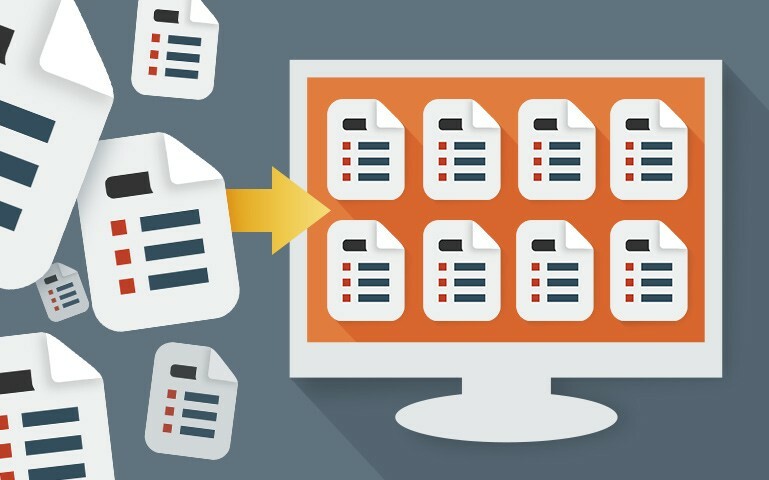 Many service oriented businesses spend a lot of time on manual document management daily. This involves printing papers and shuffling files around for signature and approval. But with document digitization software and electronic signature applications, the time required to manage documents has been cut short. Now, digital copies of these documents can be stored on cloud-based servers and accessed from anywhere on tablet PCs. Similarly, bookkeeping applications are now offered by cloud service providers who make it possible for businesses to keep their accounts up to date with fast and efficient data management processes. Thus, a business using these free accounting software systems will have more time to focus on serving the customer since the time for administration has been greatly reduced. Now, businesses can engage with members of their local community actively on social media. This is particularly important for businesses that deal primarily with local clients like real estate, medical practitioners, chiropractors, alternative healthcare professionals, and beauticians. Digital technology and automation has made it possible for companies to upload posts regularly on Facebook, Twitter and Instagram for both local and national offices. These posts help businesses to demonstrate their strong interest in local community activities and attract the confidence and trust of local community members. With automation, companies can experience a phenomenal increase in social media engagement. Mobile technology that works with native smartphone apps is making it possible for businesses to interact better with clients who are close to their location. As long as the client downloads the app unto their smartphone, the business will be able to make use of local area network sensors and their hosting company to connect with the app on the client’s phone. For instance, a turn key real estate firm is developing an app that will alert a real estate agent immediately when a potential client comes into a property. That means when a client, who has the app installed on their smartphone, walks into a property that was previously equipped with sensors, the app will notify the agent and provide details such as name and phone number of the client. This will allow agents to provide immediate assistance to anyone visiting the home. There are several types of service industry businesses that benefit from these technology applications in particular. Equipment based service are one such company that benefits. However, people-based service businesses also benefit from newer, smarter technology applications as well. Big data analysis promises to revolutionize all types of businesses. No matter what type of service industry business you own, you are sure to benefit from the use of digital technology. Digital technology has changed the way service oriented businesses interact with their customers. Various data analytics tools now make it possible to utilize huge amounts of past data to predict future outcomes and perform effective marketing segmentation. Client interaction has been greatly enhanced by social media automation and mobile apps. Now, is your service business making effective use of digital technology?